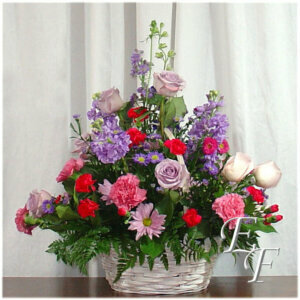 Our Thoughts and Prayers Design is perfect way to let someone know you are thinking of them. 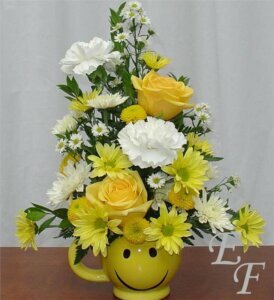 Our Thoughts & Prayers Design is perfect way to let someone know you are thinking of them. 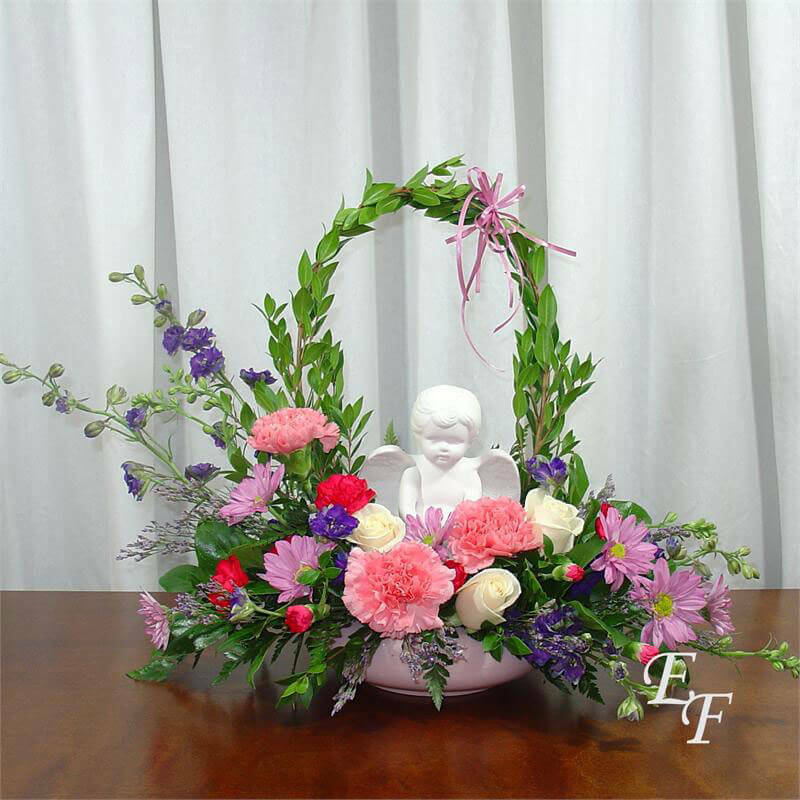 The arrangement features a 6″ bisque cherub that can be kept after the flowers are gone. 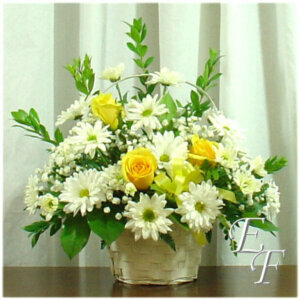 It is a good choice for a Get Well gift or as an expression of Sympathy. You have the option to upgrade this design. Choosing an upgrade option will not increase the size of the design as it is kept in proportion to the cherub. Rather, the upgrade options make the design fuller.